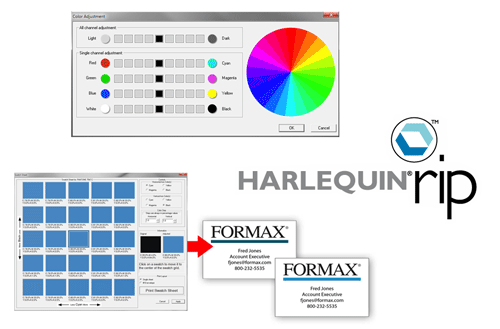 Formax cmColor RIP and Color Match Software combines tools for color management, spot color matching, hot folders and production job presets, with the powerful Harlequin® RIP engine to provide a seamless workflow solution. Achieve outstanding overall image quality, with predictable and repeatable color standardization. 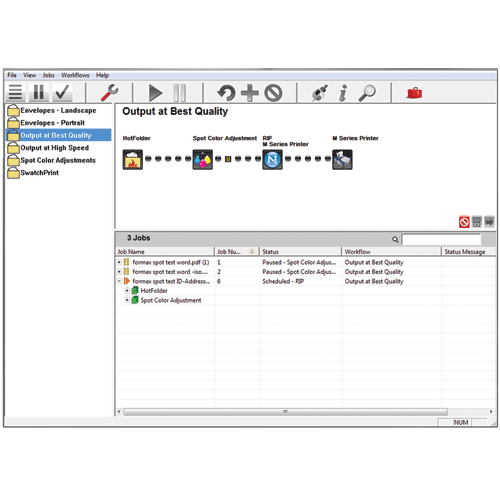 Users can edit spot color and adapt to existing specifications. ICC color profiles are built into the program to ensure high-quality color output on a wide range of media, offering more print consistency than using standard printer drivers. cmColor Software is specially designed for use with the ColorMax7 Digital Color Printer, providing a seamless workflow solution to enhance quality, manage jobs, and deliver professional color output, time after time. This software-printer combination is ideal for businesses and commercial printers who produce full-bleed color envelopes, marketing materials, invitations and much more.